Operation ‘Manna’ starts 70 years ago today……. Today, 70 years ago, after the cessation of hostilities in Europe, a massive humanitarian operation began to drop food and supplies to the starving people of Holland. At 12:34, this afternoon F/L Bill Alexander took off in ME531 AA-K, ahead of another 8 Lancasters from the Squadron to take part in the first day of food dropping over Delft. 9 Aircraft were detailed for Supply Dropping in the Delft area. The operation was uneventful and crowds were seen waving and cheering. Quite a number of packs hung up. S/L Laurence Douglas McKenna, RNZAF NZ424493 – Pilot. F/O Maurice Frank Thorogood, RAFVR 1322861/ 139697 – Navigator. F/O H. St. Laurent, RCAF J.29721 – Air Bomber. F/S Leslie Thomas Patrick Murphy, RAAF AUS.423476 – Wireless Operator. Sgt. T. Harper, RAFVR – Flight Engineer. F/S Sidney George Frederick Sizeland, RAFVR 196611 – Mid Upper Gunner. F/S Gordon Albert Mills, RAFVR 1445361/ 196610 – Rear Gunner. F/O Albert George Bone, RNZAF NZ4211608 – Pilot. F/S P. Henchie, RAFVR – Navigator. F/S Maurice Patrick Power, RNZAF NZ421395 – Air Bomber. F/S Raymond Joseph Butler, RNZAF NZ4213147 – Wireless Operator. F/S V. Cramer, RAFVR – Flight Engineer. Sgt. R Lander, RAFVR – Mid Upper Gunner. Sgt. D. Logan, RAFVR – Rear Gunner. F/L William Edward Robert Alexander, RNZAF NZ413801 – Pilot. F/O Dixon D NZ1981, – Navigator. Sgt. 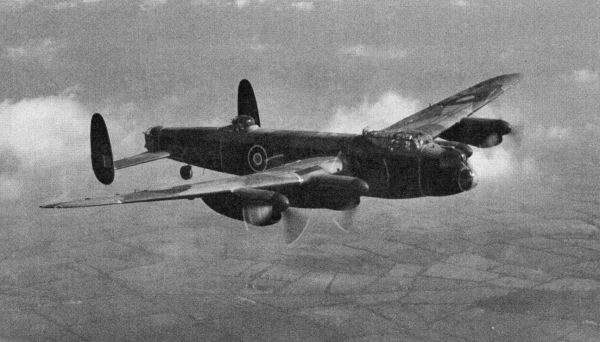 W. Townsend, RAFVR – Air Bomber. Sgt. E. Preston, RAFVR – Wireless Operator. Sgt. M Brown, RAFVR – Flight Engineer. F/L Basil Douglas Larbalestie, RAFVR – Mid Upper Gunner. Sgt. 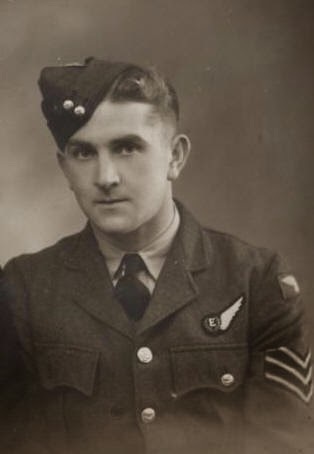 D. Payne, RAFVR – Rear Gunner. F/O Thomas Wagner Good, RAFVR 1330401/ 195724 – Pilot. F/S Woonton R, RAFVR – Navigator. F/S Williams E, – Air Bomber. W/O P. Brooke, RAFVR 1312079 – Wireless Operator. Sgt. R. Winning, RAFVR – Flight Engineer. Sgt. H. Parry, RAFVR – Mid Upper Gunner. Sgt. W. Gilbert, RAFVR – Rear Gunner. F/O Ronald Christie Flamank, RNZAF NZ427270 – Pilot. F/S A. Westbury, RAFVR AUS.401954 – Navigator. F/S E. Carver, RAFVR – Air Bomber. F/S Douglas Haig Rapson, RNZAF NZ428323 – Wireless Operator. Sgt. V. Saunders, RAFVR – Flight Engineer. Sgt. Leslie Dixon Moore, RNZAF NZ421327 – Mid Upper Gunner. Sgt. D. Hills, – Rear Gunner. F/O Wi Rangiuaia, RNZAF NZ427319 – Pilot. Sgt. Mayhew A, – Navigator. Sgt. D. Morrison, RAFVR – Air Bomber. F/S John Edward Barry Mossman, RNZAF NZ42112587 – Wireless Operator. Sgt. L. Player, RAFVR – Flight Engineer. Sgt. T. Mynott, – Mid Upper Gunner. Sgt. T. Morgan, – Rear Gunner. W/C Cyril Henry ‘Mac’ Baigent, RNZAF NZ411973/ 70038 – Pilot. F/S James Randel Haworth, RNZAF NZ4216510 – Navigator. F/L Grant Alan Russell, RNZAF NZ411729 – Air Bomber. P/O William Lachlan Wilson, RNZAF NZ41117 – Wireless Operator. W/O W. Peplow, RAFVR – Flight Engineer. F/O Harold George Howells, RAFVR 1292972/ 185219 – Mid Upper Gunner. F/O Gwyn Duglan, RAFVR 179249 – Rear Gunner. 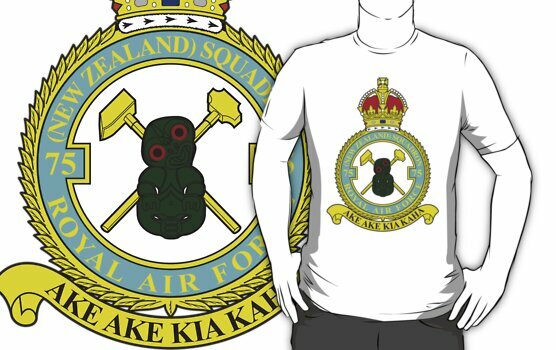 75(NZ) Squadron RAF would undertake another 117 flights to Holland over the next 9 days till the final on the 8th of May. An earlier post about Operation ‘Manna’ and the USAAF Operation ‘Chowhound’ can be read here. 21 Aircraft were detailed to Supply dropping in the Rotterdam area. Crowds of Dutch were seen waving and cheering. The Operation was carried out successfully. 21 Aircraft were detailed for Supply Dropping at Delft. The population were very excited. There was a great deal of flag waving and thanks messages were seen painted on roof tops. 21 Aircraft were detailed for Supply Dropping at Delft. This mission was successful. The crowd were not as large as usual, but more flags were observed. F/O E.Ohlson reported having seen Germans in barracks cheering and waving white flags. F/O R, Flamank saw Germans waving from gun posts on the coast. 10 Aircraft were detailed for Supply Dropping, five for Delft and five for the Hague. Crowds and flag waving were not so extensive as before and enthusiasm seems to be waining. 6 Aircraft were detailed for Supply Dropping. Three for The Hague, and three for the Delft. The missions were successful, but fewer people were seen. 4 Aircraft were detailed for Supply Dropping at the Hague. The mission was uneventful. 26 Aircraft were detailed for Supply Dropping at Delft. The mission was uneventful. Oil patches and yellow objects were seen in the sea near the Dutch coast. 8 Aircraft were detailed for Supply Dropping at Rotterdam. The mission was uneventful, but considered successful. This entry was posted in general and tagged 1945, 29th April 1945, 75(NZ) Squadron RAF, A. Westbury, Albert George Bone, Alexander Reid Hirst, Basil Douglas Larbalestie, Cyril Henry 'Mac' Baigent, D. Hills, D. Logan, D. Morrison, D. Payne, David Dickson Hope, Delft Food Drop by allies after war, Dixon D NZ1981, Douglas Haig Rapson, E. Carver, E. Franklin, E. Preston, Gordon Albert Mills, Grant Alan Russell, Gwyn Duglan, H. Parry, H. St. Laurent, Harold George Howells, Harry 'Jock' Fraser, HK561 AA-Y, Holland 1945, Ian Taylor, James Ernest 'Jimmy' Wood, James Randel Haworth, John Alfred Tarran, John Edward 'Jack' Britnell, John Edward Barry Mossman, L. Deeprose, L. Player, Laurence Douglas McKenna, Leslie Dixon Moore, Leslie Thomas Patrick Murphy, M Brown, Maurice Frank Thorogood, Maurice Patrick Power, Maurice Wiggins, Mayhew A, ME531 AA-K, Mepal, Mervyn John King, NG448 AA-A, Norman 'Paddy' Allen, Operation Manna, P. Brooke, P. Henchie, PB132 AA-T, PB421 AA-P, PB820 JN-V, R Lander, R. Winning, RA510 AA-E, Raymond Joseph Butler, RF127 AA-W, RF129 JN-M, Ronald Christie Flamank, Russell Ashley Banks, Sidney George Frederick Sizeland, T. Harper, T. Morgan, T. Mynott, T.R. Kemp, Thomas Wagner Good, V. Cramer, V. Saunders, W. Gilbert, W. Peplow, W. Townsend, Wi Rangiuaia, William Edward Robert Alexander, William Lachlan Wilson, Williams E, Woonton R, World War 2 on April 29, 2015 by 75nzsquadron.